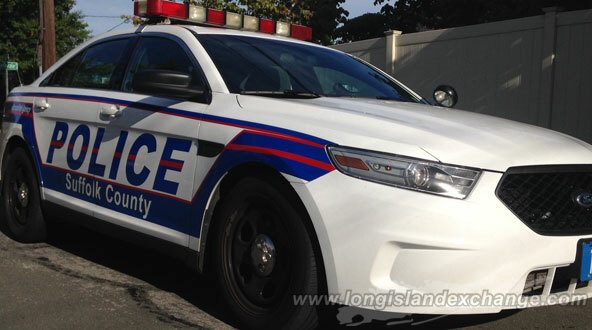 (Long Island, NY) Suffolk County Crime Stoppers and Suffolk County Police Third Precinct Crime Section officers are seeking the public’s help to identify and locate the driver of the vehicle that struck a pedestrian and fled the scene in Central Islip last year. A 39-year-old man was walking on Peach Street when he was struck by a vehicle on December 1 at approximately 7 p.m. The driver fled the scene in the vehicle. Suffolk County Police are seeking the public’s help to identify the driver of the vehicle that struck a pedestrian and fled the scene in Central Islip last year. Photo Credit: Chris Boyle. The victim was transported to Southside Hospital in Bay Shore where he was admitted for treatment of a brain injury.